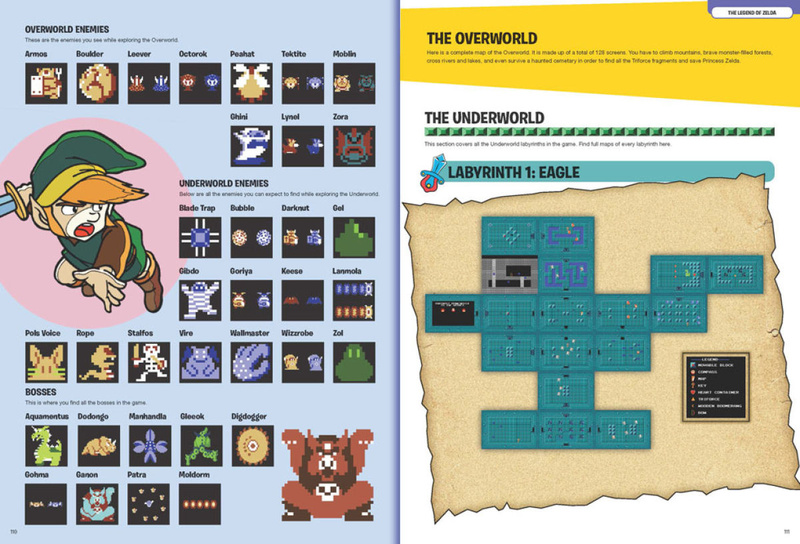 The book offers a retrospective on 17 NES classics including complete walkthroughs for Super Mario Bros. 3, Donkey Kong, and The Legend of Zelda. If you are on the fence about buying, the nice folks over at Prima have given us a sneak peek at some of the contents of this upcoming book. We have to say it's all looking really lovely and reminds us of the old Nintendo Power days. You can preorder the book via the Amazon link above. Let us know if you'll be picking this up with a comment below. @samuelvictor same. Eve with my Ame Genie and the much needed invincibility that provided, I could never ever locate Ganon! Pro Wrestling is such an awesome game. Oh! Do it man. I beat Zelda in the 80s as a kid and replayed it this year on an NES at the ripe old age of 40, and it is still a wonderful game. 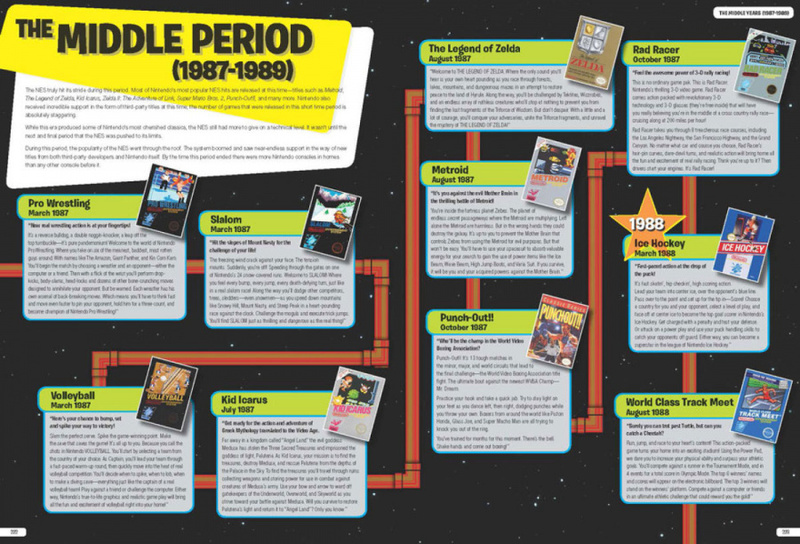 I used an old Nintendo Power magazine that had all the maps to help me when i got stuck. I truly enjoyed the experience...the game still stands as a great game, even in this day and age. That really was a special time to be a gamer. It was such a step up from the 2600 and brought so many new gaming experiences and awesome games. Games today are technically better but it's not as exciting an experience as it was back then. For sure. Moving from the 2600 to the NES, which I also did, was a staggering jump. 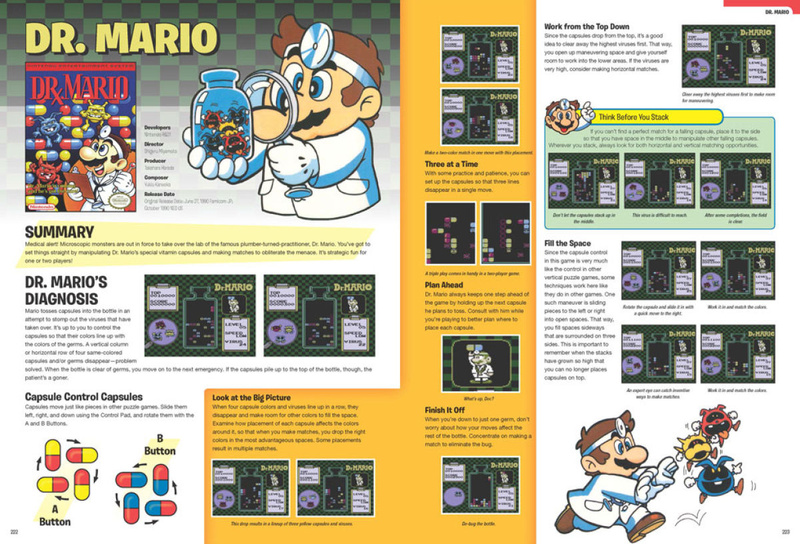 And it was absolutely exciting to see all the new games, way of playing and ideas that came out of the NES. The joystick change alone was massive. I love gaming today, but the golden age of gaming, for me, was the NES era-SNES era, mid 80s to mid 90s, where a ton of wonderful games and systems came out. And many still stand the test of time today. I can easily go from playing BF1, and AC Black Flag, to popping in an old NES game and still enjoy my time equally across all of them. @Dazza Did you forget the mandatory "Please note that the link above is an affiliate link. If you click it and make a purchase we may receive a small percentage of the sale" statement? This is going to make a great gift. By the look of it I think it features Zelda maps! @NintendoVideoGa That's true, I'd forgotten you can do it through homebrew. Once the WiiU is fully dead (IE once no more new games are released & I've bought the last few that I want) I'll be playing around with homemade to put my GC games on & some emus, so will look up the cheat code stuff then for the games I'm having issues with. Thanks for reminding me! @james_squared I agree, I wish Nintendo would put games like Pro Wrestling, Kung Fu, Karate Champ, Track & Field ect on the Virtual console ! @Agent721 what do you think of Breath of the Wild? I'm excited from what I've seen so far. The world looks huge and I hope they fill it up with side quests and interesting places, things and people to see. I really hope that the Dungeons (I assume we'll see some) are well thought out, with new mechanics and puzzles to solve. My only apprehension is it looks kind of empty and doesn't seem to have those things thus far, but it's way too early to criticize quite yet, as they could be holding out to reveal more stuff later. @Agent721 I am actually really excited for the new Zelda. The art direction is exactly where I wanted it to go. Wind Waker and A Link to the Past are my favorite Zelda's along with the original and I think this new iteration is going to borrow a lot of ideas from those games along with the physic based open world, just gorgeous. I think the world will be plenty filled with people and things to do, even Nintendo said they took out all the NPC and towns in the E3 demo, so I am sure there will be lots. From watching videos on peoples perspectives, it's really interesting the connections they are making. My only grip, if any at all is I hope that the music really builds up, I was hoping for full orchestrated soundtrack, but that's prop not the case. I'm glad to hear they took out the NPCs and enemies from the demo, as that was the only thing that stood out negatively to me. I can't wait for it to come out...I may even get it twice, on the Wii U and on the Switch!